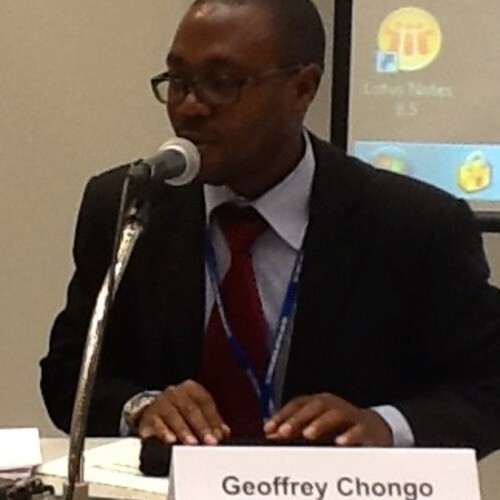 Geoffrey Chongo is the Head of Programs at the Jesuit Center for Theological Reflection (JCTR), located in Lusaka, Zambia. JCTR is a church-affiliated civil society organization that conducts evidence-based advocacy on political, social, and economic issues. The JCTR works through four main programs: economic equity and development, social conditions, faith and justice, and outreach, and uses the social teachings of the Church as the basis for its advocacy. JCTR has written that the social teachings of the church are a rich resource for empowering people to work for social justice, yet this is often the church’s “best kept secret.” How can we, as people of the church, help expose this secret for the powerful tool that it is? Church Social Teaching is commonly referred to as Catholic Social Teaching. It is a set of knowledge resulting from careful reflection on the complex realities of human existence. It espouses principles such as the inherent dignity of human beings. Other principles include the common good and God’s option for the poor. If these principles where honored and to become the basis of our action, both in private and public life, they could promote interest all in society. JCTR tries to create awareness of these principles especially among people who occupy public life and whose decisions affect many people. JCTR also refers to the principles as Church Social Teachings and not Catholic Social Teachings as they apply not only to Catholics but to all churches and human beings so that all people can identify themselves with them. Your organization has developed one of the most widely-cited statistical tools for evaluating poverty in Zambia: the basic needs basket (BNB). How does the BNB work, and how has it helped lessen the impact of poverty on the average person in Zambia? The Urban Basic Needs Basket (BNB) is a tool that helps JCTR to monitor the cost of living in 15 selected urban towns throughout Zambia. Prices of selected essential and non-essential items that constitutes an urban BNB for an average family of five (as determined by government official census statistics) are surveyed and analyzed on a monthly basis and results used to advocate for policies that improves the living conditions of people. Stakeholders such as employers and trade unions use the urban BNB data to bargain for decent wages. The urban BNB has had positive impacts on the lives of average individuals. Recently, Government introduced a minimum wage law for lowly paid workers such as shop workers, making reference to the JCTR Urban Basic Needs Basket. JCTR has also used the urban BNB data to push for tax measures that reduce the cost of living such as increase of tax free threshold for salaried employees and removal of VAT (Zero Rating) on selected goods on which poor people spend most of their income. The BNB and its accompanying survey—the Satellite Homes Survey—have also given birth to wider surveys such as the Households Access to Selected Economic Social and Cultural Rights (ESCRs) in various towns in Zambia (2012-2014). These have resulted in building awareness in communities on ESCRs. We have seen communities such as those from Livingstone and Monze districts (in Southern Zambia) demand their rights and engage with duty bearers to receive access to water and electricity, respectively. As regards the rural BNB, this is a tool that looks at food and nutrition security as well as access to various social services through a household and key informant questionnaire that is administered quarterly. This research has helped provide platforms for community members to engage with local/district leaders in setting the agenda for Constituency Development Funds as well as to give service providers and local leaders information on needs as presented by the community. Though development in these areas is slow, progress has been seen where toilets and boreholes have been sunk to provide better sanitation such as in Masaiti (Copperbelt province), Kazunula (Southern province) and Mambwe (Eastern province). I know that debt relief is a topic important to you and to JCTR. How has government debt impacted the everyday life of the average person in your country, and what can be done to alleviate the negative consequences of debt? You can find the rest of my interview with Geoffrey at Red Letter Christians. This entry was posted in Interview, Red Letter Carpet, The Faithful, The Ironic and tagged Debt, Ebola, Interview. Bookmark the permalink. Thank you for the important work you do in bringing people like Geoffrey Chongo to our attention, Jamie. You swell the praises of the faithful! Laurna!! Thanks for reading and commenting and making me feel like what I write/who I interview does some good in this world!